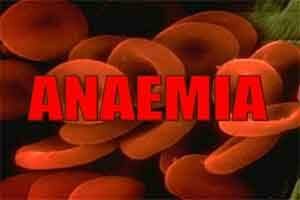 According to National Family Health Survey (NFHS)–IV (2015-16), the prevalence of anemia among women aged 15 to 49 years is 53 percent. In order to prevent anaemia among women and children, National Iron Plus Initiative (NIPI) has been launched in 2013, a flagship scheme under the National Health Mission based on the life-cycle approach, under which iron-folic acid supplementation is provided to the vulnerable age groups. It includes Pregnant and lactating women and Women in reproductive age (WRA) group. • Universal screening of pregnant women for anaemia is a part of ante-natal care and all pregnant women are to be provided iron and folic acid tablets during their ante-natal and post natal visits through the existing network of sub-centers and primary health centres and other health facilities as well as through outreach activities at Village Health & Nutrition Days (VHNDs) and also through the ASHAs. After the first trimester of pregnancy, every pregnant woman during ANC is to be given iron and folic acid (IFA) tablets for six months, and six months post-partum. Pregnant women, who are found to be clinically anaemic, are to be given double the dose of IFA. • Government of India has given directions to the States for identification and tracking of severely anaemic cases at all the sub centres and PHCs for their timely management. • Health and nutrition education to promote dietary diversification, inclusion of iron foliate rich food as well as food items that promote iron absorption. • To address anaemia due to worm infestation, deworming of pregnant women is done after first trimester preferably in second trimester of pregnancy. • To tackle the problem of anemia due to malaria particularly in pregnant women and children, Long Lasting Insecticide Nets (LLINs) and Insecticide Treated Bed Nets (ITBNs) are being distributed in endemic areas.